Not long ago a friend stopped by my office to chat. What he wanted to talk about was not personal; in fact it was about me and a failure on my part in regards to my ministry as pastor. A member of the congregation was hurting; I was aware of the situation; I should have reached out; I didn’t, and he was inviting me to repent and obey. Perhaps you have found yourself on the other end of a friend’s rebuke. It’s not my favorite place to be and I knew I had two options: #1. I could make excuses, accuse him of being judgmental, and dismiss his rebuke…or #2. Repent and walk in obedience. We should not forget that the gospels proclaim that Jesus’ ministry, from the beginning, was calling people to repentance. The kingdom of God has come and to experience it in its fullness, we need to come to grips with our failures, ask God’s forgiveness, agree that He is right and we are wrong, and start walking in a new direction. When we do, we realize that which God announced from the beginning, the kingdom of heaven, has come near! 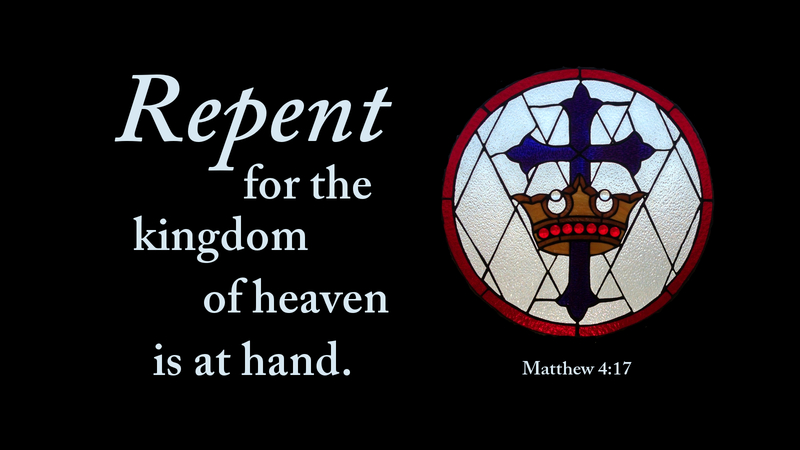 Prayer: Father, teach us to repent and obey, that we may experience the kingdom as your Son announced so many years ago. Amen. Today’s devotion was written by Brodie Taphorn, pastor at Upper Arlington Lutheran Church, Hilliard, OH.